Grand Garden Home. 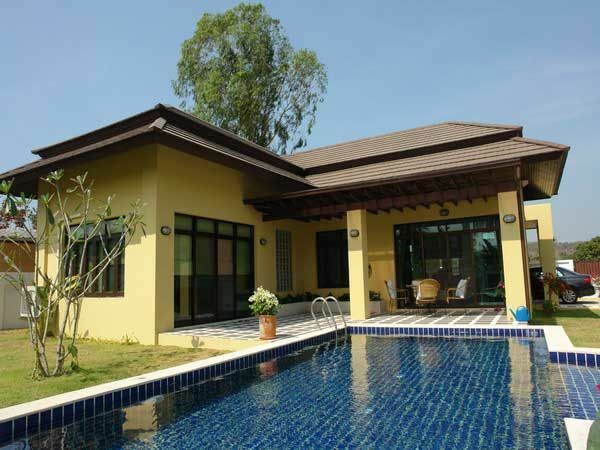 This Thai development is situated in the ever popular Bang Saray area, a location just 15 minutes from downtown Pattaya/Jomtien, in a more tranquil environment, known for its slower pace, quieter cleaner beaches, and picturesque countryside. The developer is offering Balinese style detached houses, in a secure village, each with their own private swimming pool. This house is well planned, and offers large rooms, walk through wardrobe in Master bedroom, a separate inside & outside shower in the Master en-suite bathroom, high ceilings, good natural light, and tropical landscaped gardens. Set on a large raised land plot, the village of 60 houses enjoys a natural open air feel, and cooling ocean breeze. This home is available to rent from a minimum 6 month period. Living area : 125 sqm.